We all go to the Metropolitan Museum of Art for its blockbusters and its permanent collection, but the smaller shows that we happen upon are sometimes the most exciting part of a visit, Holland Cotter noted earlier this month. 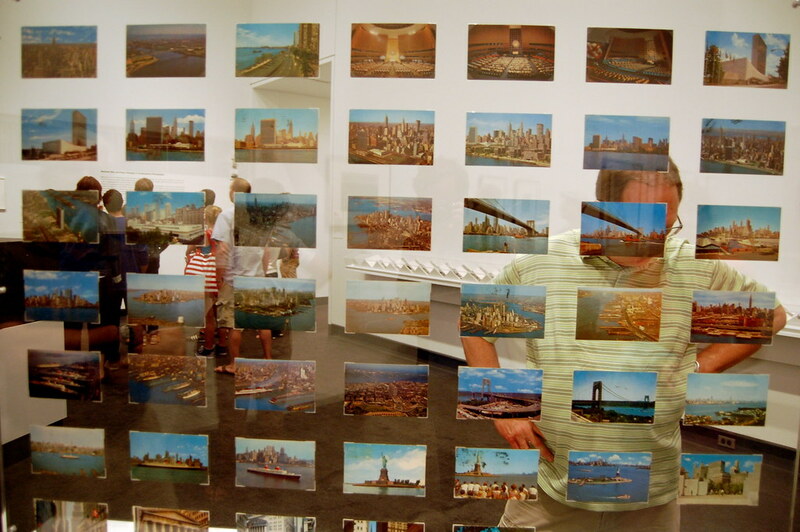 The museum currently has plenty of those shows on view, though one that Cotter didn’t mention in his review of six of them was “Between Here and There,” a smart, pocket-sized photography exhibition that runs through February 13, 2011. “Between Here and There” is on view in the museum’s Joyce and Robert Menschel Hall for Modern Photography, the small second-floor space that has become a dependable venue for tightly focused shows in recent years. Its modest size forces every work to count, and the Met's curators have been meeting its challenge admirably. The previous show there, “Surface Tension,” offered a succinct overview of photography devoted to its own physical presence and its status as an index. A Walker Evans photograph of a ripped billboard hung not far from Gerhard Richter’s abstract riffs on chromogenic prints. And there were deserving younger artists too, like Eileen Quinlan and Tim Davis, whose close-up of an Eakins canvas looked pleasantly weird hanging not far from the Met's painting galleries. The current show is concerned with photography that acts as a record of travel or movement, and it is at least equally as strong as "Surface Tension." Familiar joys, like an early Ed Ruscha book, are shown near lesser-known pieces, like a tiny snapshot by Felix Gonzalez-Torres, an inclusion that should serve as a call for a survey of his rarely displayed work in the medium. 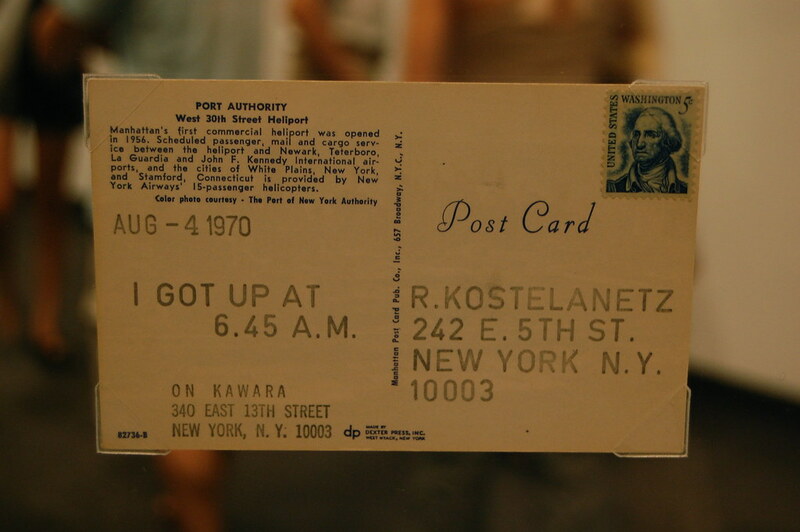 There is also a set of On Kawara postcards, providing a readymade tour of New York City via invisible journeys through the postal network. Two other surprises were earning long stares from visitors when I stopped by the gallery: Dennis Oppenheim’s 1970 Material Interchange for Joe Stranard, Aspen, Colorado, which documents the travel of human blood via mosquito, and a haunting Darren Almond video, with sound provided by a cleverly placed speaker hanging overhead.